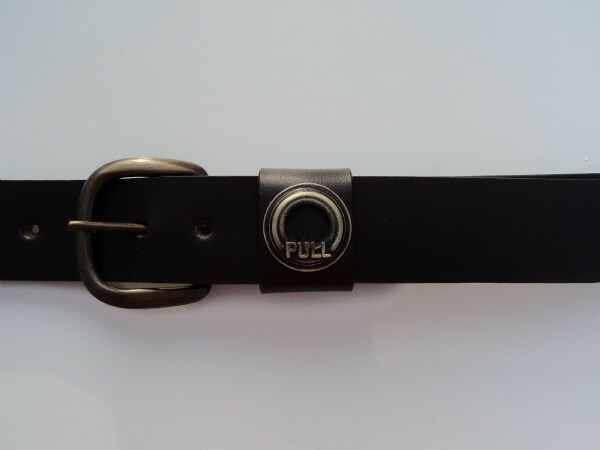 "Pull" Shooter's Belt: Call for the Target! Solid Brass Casting of a Clay Target or Sporting Clay, a unique design by Sid Bell Originals. It is specific to a 1 1/2 inch width belt and comes in sizes ranging from 30 to 66. Genuine Leather Strap, Mahogany Brown, hand crafted in the USA by Royden Leather Belts.